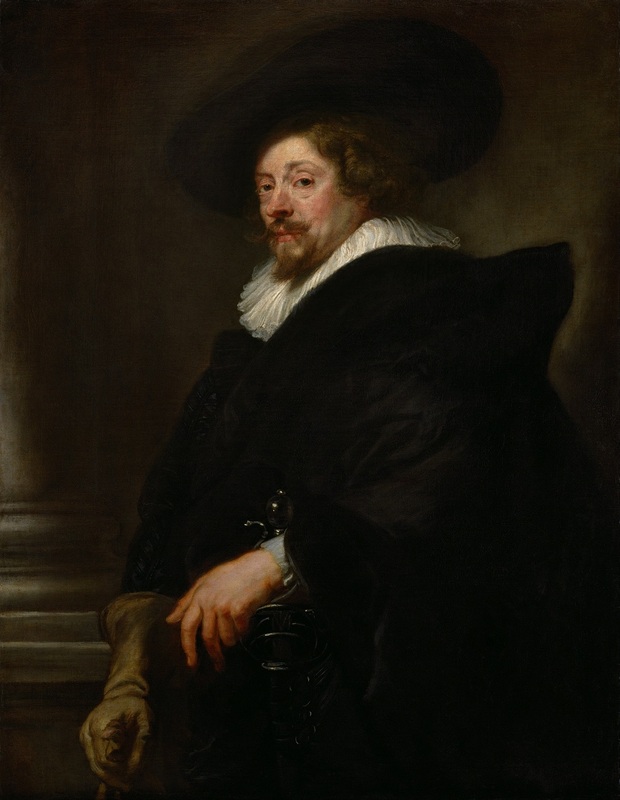 Last week’s “Moments in Art” recounted how John Paul Rubens purchased a collection of Greco-Roman artifacts from Sir Dudley Carleton, Britain’s Ambassador to Holland, for 1000 florins and a collection of his paintings. Rubens sometimes painted a subject several times, and often his students or assistants would paint replicas of his work. Rubens might, or might not, add his personal touch to the replicas. 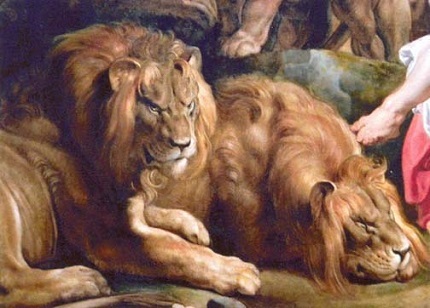 After Carleton Daniel in the Lion’s Den eventually went into the Royal Collection of Charles I, but before the English king was beheaded he gave the painting to the Duke of Hamilton for some service. It was seen in the Hamilton collection as late as the 19th century by Gustav F. Waagen. Waagen (1794-1868) was a German art historian who became director of the Berlin museum. In England he compiled The Treasures of Art in Great Britain, four volumes that even today remain a key in tracing provenances of important paintings. Towards the end of the century Daniel in the Lion’s Den was sold by someone in the Hamilton family. Then it was bought back by another Hamilton a few years later. About this time another Daniel was discovered in a church on the Isle of Man (not to mention still another in Vienna). A newspaper story declared that the Isle of Man Daniel was the genuine one. The newspaper reproduction was poor, but the art world decided the nearly inaccessible Daniel in the middle of the Irish sea was in deed the genuine Rubens. Because of these conflicting stories the newest purchaser of the Hamilton Daniel preferred to keep his ownership secret. He had made an unfortunate buy, and he did not want to look silly. Samewise, museum directors do not like to admit the fakes stowed in their vaults. So the original Rubens disappeared from view. Actually Daniel in the Lion’s Den hung for 60 years or so in the purchaser's high-ceilinged English office, where it was pretty much forgotten except as a piece of decorative art, a replica. When the company decided to move to a new building, the big old Daniel just didn't fit into the low-ceilinged new decor, and the painting was turned out to pasture. Daniel was sent to an obscure auction house for disposal, but before the gaveling date it was seen and purchased by a London dealer, who legally exported it — as a copy — out of England. The dealer’s purchase price — probably less than 1000 pounds. 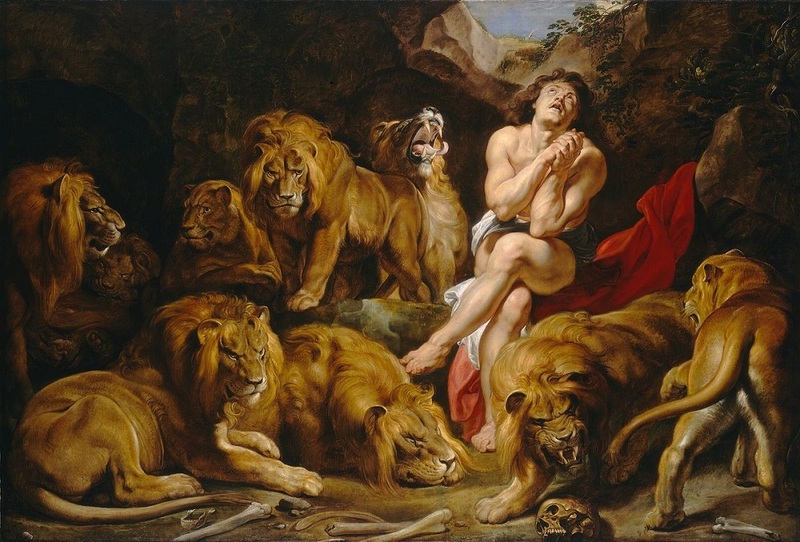 Today this Daniel in the Lion’s Den hangs in the National Gallery on Constitution Avenue, Washington, D.C.
Rubens, Daniel in the Lyon’s Den, National Gallery, Washington, D.C.
Rubens put ten of them in his picture.